Honda, Nissan, Mazda and Toyota are recalling millions of cars because of faulty inflators for Takata air bags. Seven automakers are recalling millions of vehicles because the casing around the airbag's inflator can rupture, possibly resulting in injury. 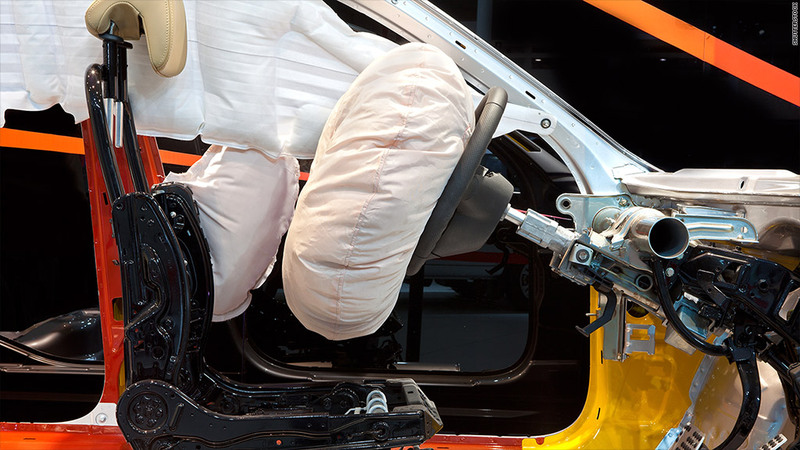 The National Highway Traffic Safety Administration says Honda (HMC), Nissan (NSANF), Toyota (TM), Mazda (MZDAF), Chrysler, Ford (F) and BMW are recalling the vehicles equipped with the airbags made by the Japanese company Takata. The recall follows a NHTSA investigation into six reports of airbag inflator ruptures, all of which occurred in Florida and Puerto Rico. In a statement last week, the company said it believes high levels of humidity are factors in the inflator problem. Honda said it is recalling more than 2 million vehicles in the United States. There's a nationwide recall of several models, including Civic, Accord and Odyssey, from 2002 and 2003, as well as recalls limited to certain warm-weather states, as well as Puerto Rico and the Virgin Islands. Honda said it knows of one report of injury related to the problem. Nissan (NSANF) said it is recalling 755,000 vehicles, including 228,000 in North America. Earlier this month, Toyota (TM) also expanded a recall because of the Takata airbags to nearly 2.8 million vehicles. Chrysler spokesman Nick Cappa said the investigation is ongoing so his company doesn't know how many cars it's going to recall, but it would probably involve the 2006 Dodge Charger.